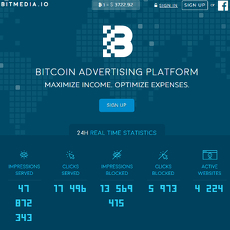 AdBit is a bitcoin and blockchain advertising network. Advertisers compete for space through an auction process. In terms of value for the advertisers, this method is most likely to be subpar as winners in auctions typically end up overpaying. 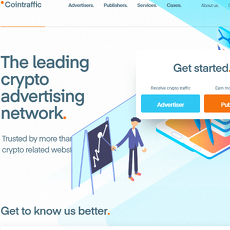 The auction process is termed a "smart bid auction" on the website and claims to provide advertisers with the highest possible return for their budget. With no clear explanation on how the smart bid auction work, it is questionable whether this process provides advertisers with good value. 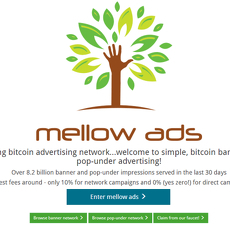 The website claims 500,000 unique visitors per month to the websites on which the advertisements will be posted. However, the website lacks any metrics on impressions and clicks. Many competitors in this space have live metrics and daily percentage changes on their website. The company also has little social media presence with just about a 100 followers and a small number of tweets on their twitter page and no LinkedIn. For publishers, payments are made in real time with every click. 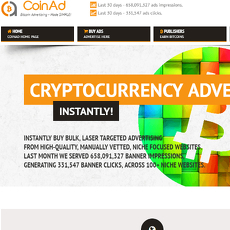 All transactions are completed in bitcoin. 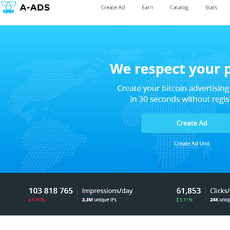 AdBit also proposes that they offer low and transparent fees for publishers.